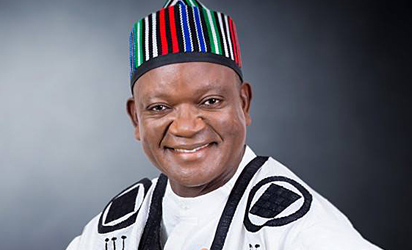 Benue State Governor, Samuel Ortom, on Thursday said he would use 80 per cent of the final tranche of the Paris Club refund of N14.9bn to pay workers’ salaries, pensions and gratuities. This is contained in the statement issued by the Chief Press Secretary, Terver Akase, who said that the governor confirmed the receipt of the final tranche of the Paris Club refund from the Federal Government. At present, state civil servants and local government workers are being owed seven and eleven months’ salary arrears respectively. The CPS said that the governor had set up a committee headed by the Deputy Governor, Mr Benson Abounu, to work out modalities for immediate disbursement of the funds. He added that on the committee were the Head of Service, Finance Commissioner, Adviser on Local Government and Chieftaincy Affairs, Adviser on Labour Matters, Chairmen of Nigerian Labour Congress, Trade Union Congress and Nigerian Union of Pensioners, Benue State chapters. Akase said that the decision of governor Ortom to involve key stakeholders in the disbursement of the Paris Club refund was in line with his policy of transparency and accountability. The CPS recalled that the governor similarly made public the receipt and disbursement of the N12.7bn first tranche and N6.4bn second tranche of the Paris Club refunds respectively.